The main principle behind any type of insulation is the fact that air is a poor conductor of heat. This being said, insulating materials that contain large pockets of air that are placed between the walls of a house will help retain heat in the winter and cool air in the summer. The most obvious benefit is that properly installed and modern types of insulators will save one's home a great deal of money on heating and cooling costs. This is combined with the fact that many never products are considerably cheap to purchase; further adding to cost efficiency. Furthermore, installation can be accomplished quickly and this is especially relevant when using an air spray to spread foam throughout the wall of a home. In fact, there are many instances where spraying an entire home (including the loft) can be accomplished in a single day. A final benefit of modern foams is the fact that they are much safer than traditional materials such as asbestos or urea-formaldehyde panels. Many materials are relatively cheap to purchase. The chemicals and components used are much safer than in previous years. Different materials can be used for household insulation and each one has its own benefits and drawbacks. Let us have a brief look at some of the most common to understand which one may be the most appropriate. The most common type of insulation is comprised of fibreglass. The main benefits of fibreglass are the fact that the material is easy to work with, quite cost-effective and can be easily moulded into many hard-to-reach areas. The drawbacks are that the glass fibres can become irritating to the skin and eyes and this substance has rather poor fire retardant qualities. Another common compound that is frequently employed is polystyrene foam. Otherwise more commonly known as simple Styrofoam, this material is extremely easy to work with, can be purchased in varying lengths and thicknesses and even a novice can successfully install the foam where necessary. However, thicker pieces are needed to properly insulate basements and attics. Additionally, the fumes from burning polystyrene are extremely toxic. 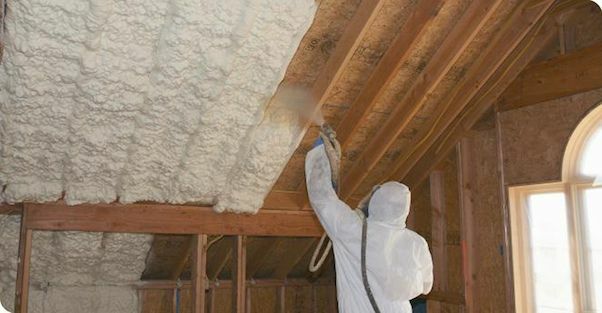 A final insulator that is seeing much more prevalent use is a spray foam. This type of air spray only requires a few holes to be drilled into a wall. Tubes will thereafter inject the foam into any areas that are necessary to insulate. While this application can be quick and easy, these foams are less environmentally friendly, toxic fumes are released when they burn and aerosol sprays are considerably more expensive than their more traditional counterparts. The safety of the substance, particularly in a fire situation. The ability for the foam to properly insulate.